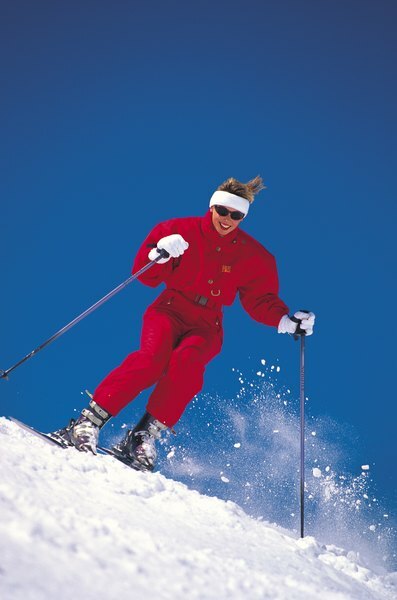 Muscle fatigue will soon disappear, allowing you to hit the slopes once again. A fun and exciting day on the slopes may leave you feeling achy, tired and sore. There's probably no need to worry, though -- muscle fatigue is common in skiers, especially if you're a beginner or it's only just the beginning of the ski season. Taking care of yourself as you overcome muscle fatigue will help prevent worsened soreness or even injury, as well as get you back on the slopes and having a blast in no time. 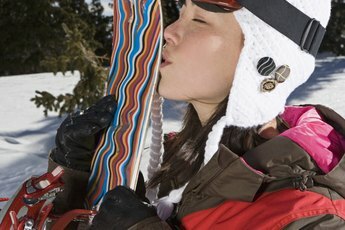 Drink some water or an electrolyte drink before, during and after you go skiing to keep yourself hydrated. Dehydration can leave you feeling tired, so be sure to stay hydrated by sipping on your drink every half-hour or so during ski runs. Apply heat therapy to your sore muscles using a heating pad. The heat will get blood circulating in your muscles and relieve the pain. If you don't have a heating pad, try a warm bath or shower. Massage your sore muscles to get the get the blood flowing, relieving the stiffness and soreness. Use your hands, a tennis ball or a foam roller to rub out the aches. A professional massage can be a real treat. Stretch well before and after you go skiing. Your leg muscles will probably be the most sore, so do plenty of quadricep, hamstring and calf stretches to prepare for the slopes. Rest those muscles! If you're so tired that you can hardly hobble around the room, take a day off to let your muscles recuperate. 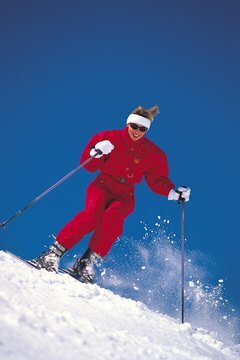 Trying to ski if you're overly sore and tired leads to poor skiing form, which can lead to an injury. Take care of your muscles -- and yourself. If muscle pain persists, try an over-the-counter pain medication like ibuprofen or acetaminophen. Always use medicine as directed. 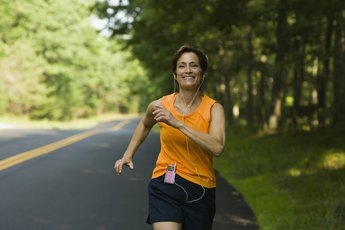 Consult a physician before beginning any new sport or exercise. Jennifer Kimrey earned her bachelor's degree in English writing and rhetoric from St. Edward's University in Austin, Texas. She's a regular contributor to the "Houston Chronicle" and her work has appeared on Opposing Views Cultures, The Austin American-Statesman, The Red Vault, The Western Vault and various other websites and publications.